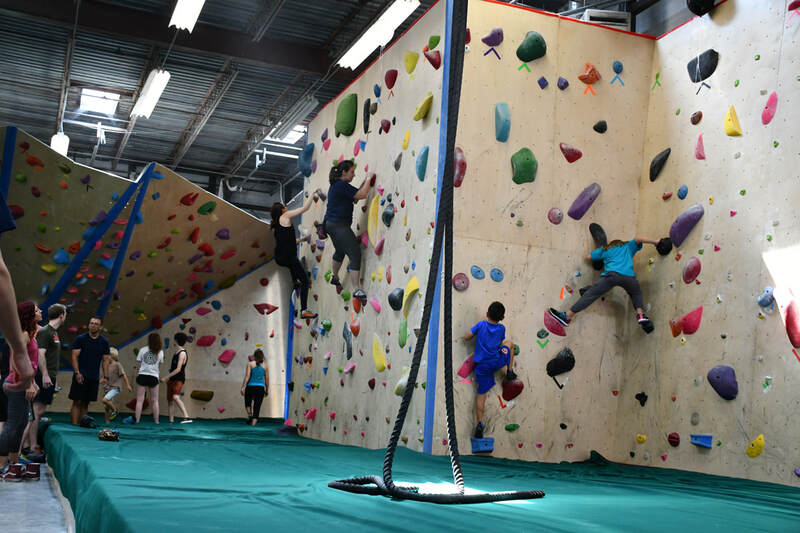 Indoor rock climbing gym specializing in boulder rock climbing, Karate, Yoga and Group Fitness from beginner to advanced climbers ages 5+. Exclusive memberships are available for individuals, families, corporate wellness, public services, and more. Improve your cardio, strength, and tone muscles through full body concentric, eccentric, and isometric compound movements. Increase your mental strength and problem solving skills by envisioning footwork and body positions while calculating climbing routes. Burn more calories, build immense grip strength, and prevent sedentary habits, seeing that rock climbing is fun, social, and challenging. You will improve all of these aspects plus more as a valued member at The Boulder Yard. ALL PARTICIPANTS MUST SIGN WAIVER UPON ARRIVAL AT THE FACILITY. As Fredericks new premiere rock climbing facility, our success is achieved by means of providing our community with the convenience of diverse health and fitness methods under one roof. 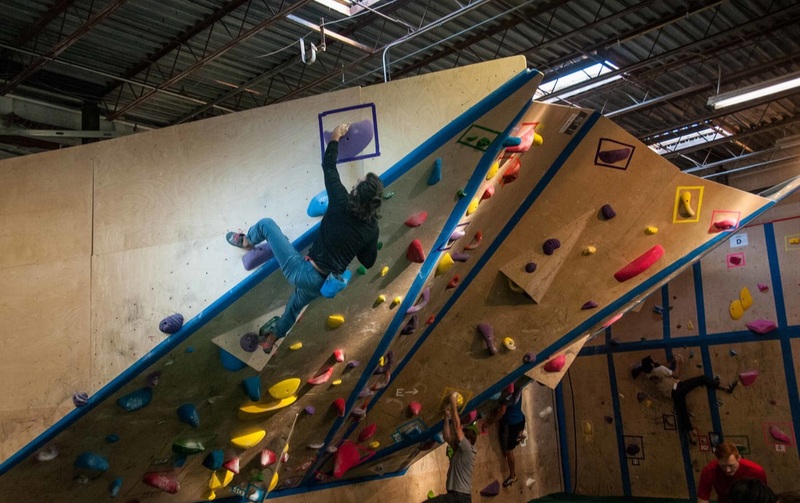 Specializing in "bouldering", our 6,000 square foot facility currently has 3,000 square feet of bouldering surface with problem ratings from beginner to advanced which change every five weeks keeping our members satisfied with new problems throughout the year. The main floor also includes free weights, boxing equipment, and hang-boards for various training techniques. The second floor is provided with a hardwood floor studio for yoga, group fitness, and mma classes with room for twenty plus members and classes for all ages. What sets us apart from other rock climbing gyms is that our problems are set to replicate outdoor climbing. The problems may be challenging if you are not used to the style, but setting our walls this way gives climbers a realistic approach to general bouldering. This is the best way to measure your strength in both climbing styles with proper training guidelines. Our method also emphasizes the safety precautions of climbing by identifying your strengths before you attempt to climb outdoors so that you prevent injuries. We care about our climbers and want to be certain that you are well balanced, confident, and educated before venturing off into the wild. TAKE A LOOK INSIDE OUR FACILITY!